The shotgun is a classic country weapon that’s been involved in country pursuits for nearly 150 years. 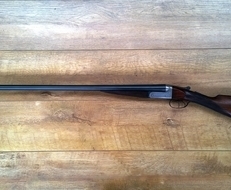 Because of this there are plenty of beautiful antique shotguns available for you to buy, collect and admire. That doesn’t mean there aren’t shiny new shotguns for you to get your hands on too though - manufacturers such as Browning and Beretta are producing top of the range guns all the time. Each shotgun has a bore/gauge measurement, which is the size of the hole where the ammunition exits. The varying sizes here will affect the power and accuracy of a shotgun and will massively depend on the game that you’re shooting at. It’s definitely worth doing some research before committing to buying your shotgun.